Chloe has published 5 books about eCommerce, including her most recent one – “B2B eCommerce MasterPlan: How to Make Wholesale eCommerce a key part of your Business to Business Sales Growth”. We talk about Chloe’s path so far, from a corporate career to owning and running businesses since 2007. Chloe ran a marketing agency for almost ten years and started up the eCommerce MasterPlan in 2012 to help eCommerce business owners and marketers make better decisions. In 2017 (after selling the agency) she has been able to focus 100% on it – and what a difference that mental focus makes! 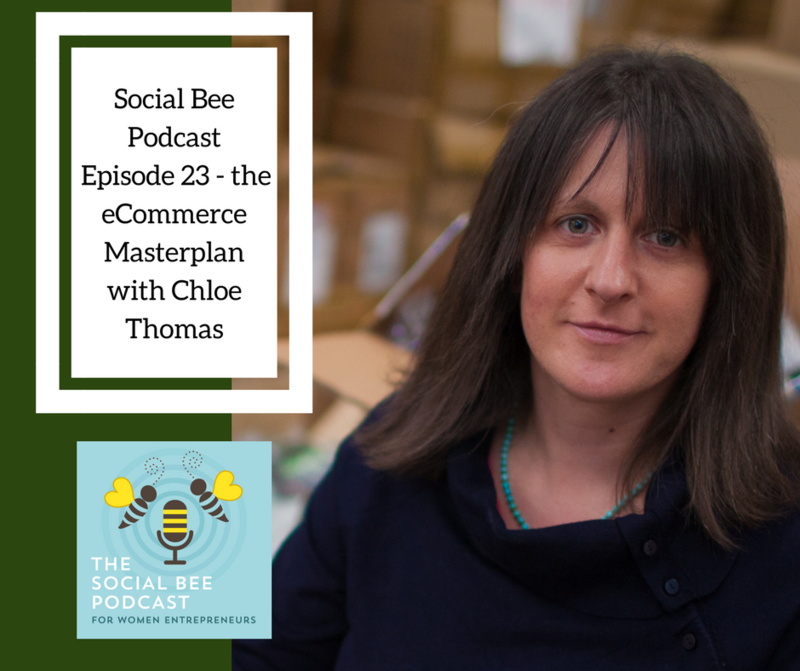 Chloe also has a podcast – eCommerce MasterPlan Podcast – with over 100 episodes now. She also is a speaker, an author and has written and published 5 books. We talked about the virtual summit she launched in September, and the structure that took. Perfect timing for me, as I am launching the Social Bee online summit in April 2018!